Life can be a risky business. How much or how little may depend on your view of risks. You may consider risks a threat to dear achievements, or you may see risks as an opportunity in life. Whatever your view on this matter, there are insurance covers available to eliminate some of the consequences of risks in life. The need for a particular insurance cover depends on the individual. For us this means: insurance cover is always a customised solution. As a private individual, what risks can you think of? Long life may be a risk, but so can a premature death. You may require legal advice. You will certainly have possessions that are dear to you, such as your home, your car and many other things. As an entrepreneur, the need for risk covers may not be all that different. Common risks in your company include short-term illness and long-term disability, your liability as a private individual or as a company owner, or financial consequences due to the disruption of company operations. Your company will also certainly own assets that need to be protected too. We have a wide range of insurance solutions available for your interests as both a private individual and an entrepreneur. We keep these solutions up to date with the developments in the market and are quick to incorporate trends and the latest changes. Our advice is common sense! Our aim is to maintain a long-term and sustained customer relationship in every respect, enabling us to offer you the best possible service. You will find this out when you entrust us with handling the covers you need to protect your interests. Your home mortgage deserves a specific mention. There’s only one place you call home, so a mortgage needs to be more than one in a dozen. Have all the options checked out for you. Have the mortgage fit your requirements perfectly. At Van Eekhout Private Clients, your application for a mortgage will also be considered in the same personal way. As a result, the advice you receive from us will provide you with security and match your expectations, both now and in the future. Do you prefer to make extra repayments, or do you prefer not to? You may choose to have higher amortisations in the beginning and have lower ones later on. Or you may choose to have continuous terms of repayment in the long term. What interest rate suits you best? You may prefer to have more flexibility. You may also prefer to have more security and have a constant interest rate covering a certain period of time. These are all important aspects to consider. 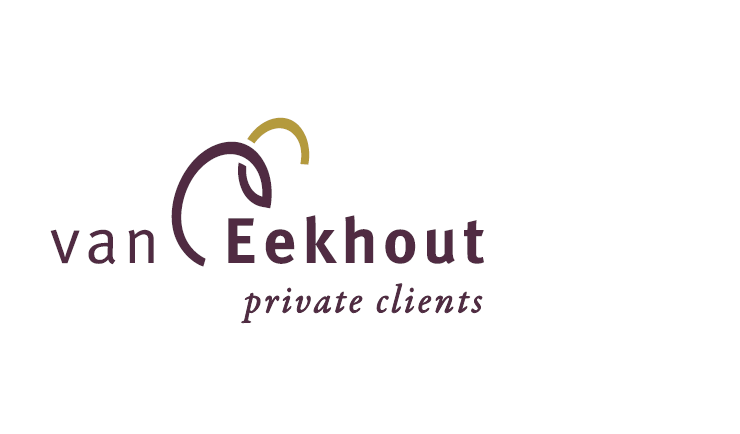 Van Eekhout Private Clients will assist you in determining these questions and finding the right answers. We will compare the most relevant offers in the financial market that will suit your interest best in terms of performance, conditions and pricing, allowing us to find the best solution for you.